A Very Special Book of Prophecy (Revelation) | Joe Quatrone, Jr.
Today, we are starting a new series in the Book of Revelation. Over the centuries, prophecies have come and gone; yet the Book of Revelation is still with us today. I can recall reading it as a child and wondering what it was all about. Even today, with many years of concentrated study behind me, I am still fascinated by its message and mysteries. The word translated “revelation” simply means “unveiling.” It gives us our English word apocalypse, which is today a synonym for chaos and catastrophe. But the original use of the word simply means “to uncover, to reveal, to make manifest.” In this book the Holy Spirit pulls back the curtain and gives us the privilege of seeing the glorified Christ in heaven and the fulfillment of His sovereign purposes in the world. In other words, Revelation is an open book in which God reveals His plans and purposes. When Daniel finished writing his prophecy, he was instructed to “shut up the words, and seal the book” (Dan. 12:4); but John was given opposite instructions: “Seal not the sayings of the prophecy of this book” (Rev. 22:10). Why? Ever since Calvary, the Resurrection, and the coming of the Holy Spirit, God has ushered in the “last days” (Heb. 1:1–2). “The time is at hand” (Rev. 1:3; 22:10). John’s prophecy is primarily the revelation of Jesus Christ, not the revelation of future events. We must not divorce the Person from the prophecy, for without the Person there could be no fulfillment of the prophecy. In Revelation 1–3, Christ is seen as the exalted Priest-King ministering to the churches. In Revelation 4–5, He is seen in heaven as the glorified Lamb of God, reigning on the throne. In Revelation 6–18, Christ is the Judge of all the earth; and in Revelation 19, He returns to earth as the conquering King of kings. The book closes with the heavenly Bridegroom ushering His bride, the church, into the glorious heavenly city. Whatever you do as we study this book, get to know your Savior better. The Holy Spirit inspired the Apostle John to write the Book of Revelation. He wrote it about AD 95, during the reign of the Roman emperor Titus Flavius Domitian. The emperor had demanded he be worshiped as “Lord and God,” and the refusal of Christians to obey his edict led to severe persecution. It was Domitian who sent John to the Isle of Patmos, a Roman penal colony off the coast of Asia Minor. During Christ’s earthly ministry, John and his brother James asked Jesus for special places of honor by His throne. The Lord told them they would have to merit their thrones by sharing in His suffering. James was the first apostle martyred (Acts 12:1–2); John was the last of the Apostles to die, but he suffered on Patmos before his death (Matt. 20:20–23). How did the Lord convey the contents of this book to His servant? The Father gave the revelation to the Son and the Son shared it with the apostle, using “His angel” as intermediary. Sometimes Christ Himself conveyed information to John (Rev. 1:10); sometimes it was an elder (Rev. 7:13); sometimes a “voice from heaven” told John what to say and do (Rev. 10:4); and often it was an angel (Rev. 17:1; 19:9–10). The important things is no matter what the various means of communication were the book came from God to John and it was all inspired by the Holy Spirit. As we study Revelation, expect to encounter a great deal of symbolism, much of it related to the Old Testament. Why did John use symbolism? For one thing, this kind of “spiritual code” is understood only by those who know Christ personally. If any Roman officers had tried to use Revelation as evidence against Christians the book would have been a puzzle and an enigma to them. John was able to draw on the great “images” in God’s revelation and assemble them into an exciting drama that has encouraged persecuted and suffering saints for centuries. There is another reason why John used symbolism: symbols not only convey information, but impart values and arouse emotions. John could have written, “A dictator will rule the world,” but instead he described a beast. The symbol says much more than the mere title of “dictator.” Instead of explaining a world system, John simply introduced “Babylon the Great” and contrasted the “harlot” with the “bride.” The very name “Babylon” would convey deep spiritual truth to readers who knew the Old Testament. While the book was originally sent to seven actual local churches in Asia Minor, John makes it clear that any believer may read and profit from it. In fact, God promised a special blessing to the one who would read the book and obey its message. John did not send this book of prophecy to the assemblies in order to satisfy their curiosity about the future. God’s people were going through intense persecution and they needed encouragement. As they heard this book, its message would give them strength and hope. But even more, its message would help them examine their own lives (and each local assembly) to determine those areas needing correction. They were not only to hear the Word, but they were to keep it—that is, guard it as a treasure and practice what it said. The blessing would come, not just by hearing, but by doing (James 1:22–25). The special messages to each of the seven churches are given in Revelation 2–3. Some see in these seven churches a “panorama of church history,” from apostolic times (Ephesus) to the apostate days of the twentieth century (Laodicea). While these churches may illustrate various stages in the history of the church, that was probably not the main reason why these particular assemblies were selected. Instead, these letters remind us the exalted Head of the church knows what is going on in each assembly and our relationship to Him, and His Word determines the life and ministry of the local body. The promise of Jesus Christ’s coming should be to all Christians at all times a motivation for obedience and consecration (Rev. 1:3, 7; 2:5, 25; 3:3, 11; 22:7, 12, 20; 1 John 1:1–3). No believer should study this prophecy merely to satisfy his or her curiosity. When Daniel and John received God’s revelations of the future, both fell down as dead men (Dan. 10:7–10; Rev. 1:17). They were overwhelmed! We need to approach this book the same way: as wonderers and worshipers, not as academic students. The overriding theme of the Book of Revelation is the return of Jesus Christ to defeat all evil and to establish His reign. It is definitely a book of victory and His people are seen as “overcomers” (Rev. 2:7, 11, 17, 26; 3:5, 12, 21; 11:7; 12:11; 15:2; 21:7). In his first epistle, John also called God’s people “overcomers” (1 John 2:13–14; 4:4; 5:4–5). Through eyes of unbelief, Jesus Christ and His church are defeated in this world; but through eyes of faith, Jesus and His people are the true victors. “Behold, He is coming in the clouds…” This describes our Lord’s return to the earth and is amplified in Revelation 19:11. This is not the same as His return in the air to catch away His people (1 Thes. 4:13–18; 1 Cor. 15:51). When Jesus comes to catch away (rapture) His church, He will come “as a thief” (Rev. 3:3; 16:15) and only those who are born again will see Him (1 John 3:1–3). But the event described here will be witnessed by the whole world and especially by a repentant nation of Israel (Dan. 7:13; Zech. 12:10–12). It will be public, not secret (Matt. 24:30–31) and will climax the Tribulation period described in Revelation 6–19. Godly Bible students have not always agreed as to the order of events leading up to the establishment of God’s eternal kingdom (Rev. 21–22). I personally believe the next event on God’s calendar is the Rapture, when Christ will return in the air and take His church to glory. Christ’s promise to the church in Revelation 3:10–11 indicates the church will not go through the Tribulation and this is further supported by Paul in 1 Thessalonians 1:10; 5:9–10. It is also significant to me there is no mention of the word church between Revelation 3:22 and 22:16. After the church is raptured the events depicted in Revelation 6–19 will occur: the Tribulation (the wrath of God), the rise of the “man of sin,” the destruction of the man-made world government, and then Christ will return to the earth to set up His kingdom. This book was born out of John’s profound spiritual experience while exiled on Patmos. He saw a vision of the glorified Christ. Revelation 1:20 makes it clear we must not interpret this vision literally, for it is made up of symbols. The seven lamp stands represent the seven churches that would receive the book. Each local church is the bearer of God’s light in this dark world. Compare this vision with Daniel’s (Dan. 7:9–14). Christ’s garments are those of a Judge-King, One with honor and authority. The white hair symbolizes His eternality, “the Ancient of Days” (Dan. 7:9, 13, 22). His eyes see all (Rev. 19:12; Heb. 4:12), enabling Him to judge righteously. His feet of burning brass also suggest judgment, since the brazen altar was the place where the fire consumed the sin offering. The Lord had come to judge the churches and He would also judge the evil world system. The Lord’s shining countenance reminds us of His transfiguration (Matt. 17:2) and also the prophecy of Malachi 4:2 (“the Sun of righteousness will arise”). The sun is a familiar image of God in the Old Testament (Ps. 84:11), reminding us not only of blessing, but of judgment. The sun can burn as well as bless! This vision of Christ was totally different in appearance from the Savior John knew “in the flesh” when He was ministering on earth. He was not the “gentle Jewish carpenter” that sentimentalists like to sing about. He is the risen, glorified, exalted Son of God, the Priest-King who has the authority to judge all men, beginning with His own people (1 Peter 4:17). He fell at the Lord’s feet as though he were dead! And this is the apostle who leaned on Jesus’ breast! (John 13:23) A vision of the exalted Christ can only produce awe and fear (Dan. 10:7–9). We need this attitude of respect today when so many believers speak and act with undue familiarity toward God. John’s response illustrates what Paul wrote in 2 Corinthians 5:16: “From now on, we regard no one from a worldly point of view. Though we once regarded Christ in this way, we do so no longer.” John no longer “nestled” next to the Lord’s heart, relating to Him as he had done before. The Lord reassured John by touching him and speaking to him (Dan. 8:18; 9:21; 10:10, 16, 18). “Fear not!” is a great encouragement for any child of God. We need not fear life because our Lord is “The Living One.” We need not fear death because He died and is alive, having conquered death. And we need not fear eternity because Jesus holds the keys of Hades and of death. The One with the keys is the One who has authority. At the very beginning of this book, Jesus presented Himself to His people in majestic glory. What the church needs today is a new awareness of Christ and His glory. We need to see Him “high and lifted up” (Isa. 6:1). There is a dangerous absence of awe and worship in our assemblies today. We are boasting about standing on our own feet, instead of breaking and falling at His feet. While all Scripture speaks of the Savior the Book of Revelation especially magnifies the greatness and glory of Jesus Christ. The book is, after all, the revelation of Jesus Christ and not simply the revelation of future events. John was told not to seal the book (Rev. 22:10) because God’s people need the message it contains. Revelation can be understood, despite the fact it contains mysteries that may never be comprehended until we meet at the throne of God. John sent the book to the seven churches of Asia Minor with the expectation that, when it was read aloud by the messengers the listening saints would understand enough of its truths so as to be greatly encouraged in their own difficult situations. Biblical symbols are timeless in their message and limitless in their content. For instance, the symbol of “Babylon” originates in Genesis 10–11 and its meaning grows as you trace it through Scripture, climaxing with Revelation 17–18. The same is true of the symbols of “the Lamb” and “the bride.” It is exciting to seek to penetrate deeper into the rich meanings that are conveyed by these symbols. This is definitely stated in Revelation 1:3; 22:7, 10, 18–19; note also 10:11. The letters to the seven churches of Asia Minor dealt with immediate needs in those assemblies, needs that are still with us in churches today; but the rest of the book is devoted almost entirely to prophetic revelations. It was by seeing the victorious Christ presented that the persecuted Christians found encouragement for their difficult task of witnessing. When you have assurance for the future, you have stability in the present. John himself was suffering under the hand of Rome (Rev. 1:9), so the book was born out of affliction. What John wrote about would “shortly come to pass” (Rev. 1:1) because “the time is at hand” (Rev. 1:3). (Note also Rev. 22:7, 10, 12, 20.) The word shortly does not mean “soon” or “immediately,” but “quickly, swiftly.” God does not measure time as we do (2 Peter 3:1–10). No one knows when our Lord will return; but when He begins to open the seals of the scroll (Rev. 6:1), events will occur with speed and without interruption. Revelation is the book of “the throne,” for the word throne is found forty-six times throughout. This book magnifies the sovereignty of God. Christ is presented in His glory and dominion! John saw nations and peoples (Rev. 10:11; 11:9; 17:15) as part of God’s program. He also saw the throne room of heaven and heard voices from the ends of the universe! Revelation is the climax of the Bible. All that began in Genesis will be completed and fulfilled in keeping with God’s sovereign will. He is “Alpha and Omega, the beginning and the ending” (Rev. 1:8). What God starts, He finishes! This entry was posted in Book of Revelation and tagged Church, End Times, Jesus, Judgement, Persecution, Prophecy, Rapture, Second Coming of Christ, Symbolism. Bookmark the permalink. The Bible is not a book that is simply read; but rather immersed into and simmered on as the Holy Scriptures are translated to us through the power of the Holy Ghost. Jesus said he would be our Comforter to teach us all things. 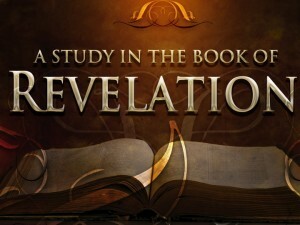 Surely the events in the world today would tell you that the book of Revelation is being unveiled before our very eyes. Come, Lord Jesus, Come. Very true indeed. God bless! Never had much use for this book and would not have included in canon. But this essay has changed my mind. Good to hear, Carl. God bless! Looking forward to this series. Although I don’t dwell on the ‘end-times’ hoopla as some others do ~ I figure what will be will be ~ I do need to understand as much about it as I can. As many times as I have read Scripture, I still have not settled in my heart and mind whether I am pre- or mid-tribulation rapture proponent. They only thing I’m sure of is I’m not post-trib. I’m not post trib either. Soon, we will identify what the Bible teaches. I’m looking forward to interacting more during this series. God bless! Amen. Well said Pastor Joe! You always bring scripture to the light. Thanks Rita. I always enjoy hearing from you. God bless! The most interesting part of the Apocalypse of John, from my perspective, comes toward the end, when one reads the condemnation of those who mourn the fall of Babylon (the Roman Empire), built on violence and economic exploitation. That part speaks to contemporary cultures, political systems, and economic systems, condemning them. The word of God is a two-edged sword, living and active, and much prophecy speaks to the present, not the future, or just the future. Just finished reading the start of your Revelation study. Thank you. Re: Christ as the Ancient of Days in the section … What John saw. I have recently learnt that the Ancient of Days is God the Father and not God the Son. Christ is the Ancient of Days? Thank you once again for your writings. Hope this makes sense. God bless. Thanks Liana. The description of Jesus’ hair in Revelation is very like Daniel’s description of the Ancient of Days (Daniel 7:9). White hair is usually associated with an elderly person who has gained wisdom through experience (Leviticus 19:32; Proverbs 16:31). God, being eternal, would be best described as being very old and very wise. Jesus, being a part of the Godhead and eternal, would share the same characteristic. God is a triune God, meaning three Persons in One, and at different times “Ancient of Days” refers to Jesus Christ and at other times, to God the Father. But in the prophetic sense, it clearly refers to Jesus, the Ancient of Days returning to pronounce judgment on the world. Good study and most neccessary. This is one book I have not fully studied. Thank you for setting the outline to help us wark through it. My wife and I are also watching Dr. Kevin Deyoung walk us through the book of revelation. – We need to approach this book the same way: as wonderers and worshipers, not as academic students. – There is a dangerous absence of awe and worship in our assemblies today. We are boasting about standing on our own feet, instead of breaking and falling at His feet. Hi there, all is going fine here and ofcourse every one is sharing facts, that’s in fact excellent, keep up writing.